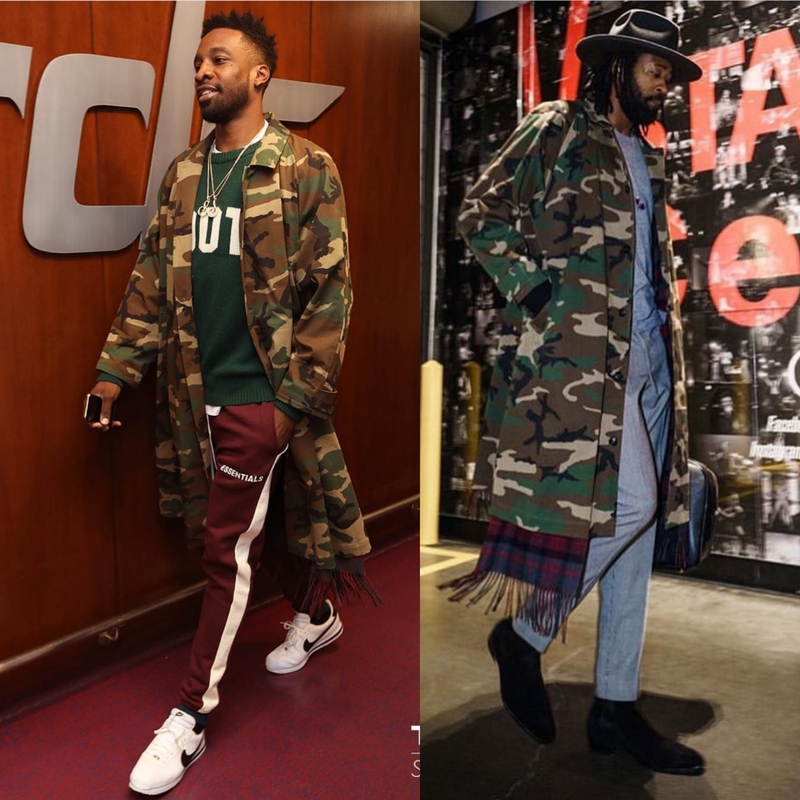 NBA Ballers Jeff Green and Deandre Jordan elected to sport a unique Vetements Camouflage trench coat for recent gameday, which features a plaid scarf detail. Jeff sported the chic coat more casually paired with Fear of God Essentials sweats, hoodie and Nike Cortez sneakers. 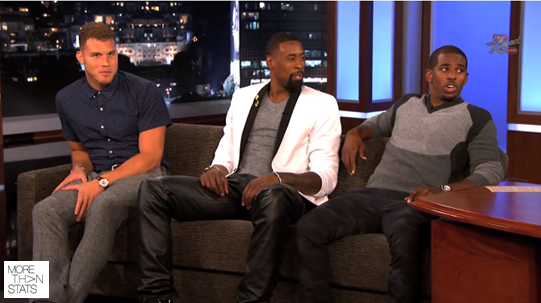 Deandre dressed up the coat a bit with a wide-brim will hat and Chelsea boots.